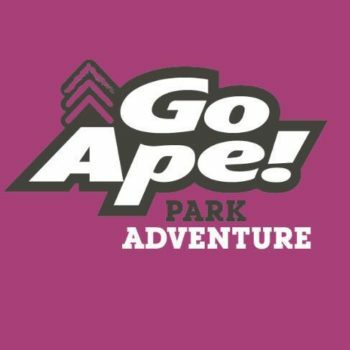 Go Ape at Temple Newsam is a brand-new Park Adventure that allows you to design your own fun in the trees! Age is no longer a constraint – just build an adventure that’s perfect for you and your tribe and with a continuous belay, once you’re attached, you can concentrate on having fun. We’ve teamed up with Go Ape Temple Newsam to offer Mumblers a chance to WIN a voucher for the value of £84 pounds which will cover 4 people on Level 2! The voucher is valid until 05/12/19. For more details on Go Ape Temple Newsam have a read of our review here. To enter you just need to CONTACT US with the words ‘GO APE!’ before Midnight on 10th December 2018. The winner will be chosen at random and contacted on 11th December. Temple Newsam Road, Leeds LS15 0DX. 1. This competition is open to any person resident in the UK who is over 18 years old. Employees of Go Ape or its affiliates, subsidiaries, advertising or promotion agencies are not eligible. Employees of Leeds and Wharfedale Mumbler are not eligible. By entering, the participant agrees to be bound by these Terms and Conditions. 5. The prize is not transferable and no cash alternative is available. The prize must be used by 5th December 2019.